Filipinos (Yeah, including me. Sometimes.) 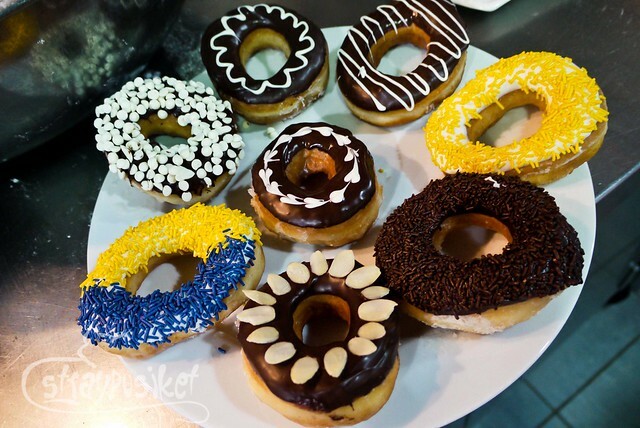 go gaga over JCO donuts ever since it was brought to the country. 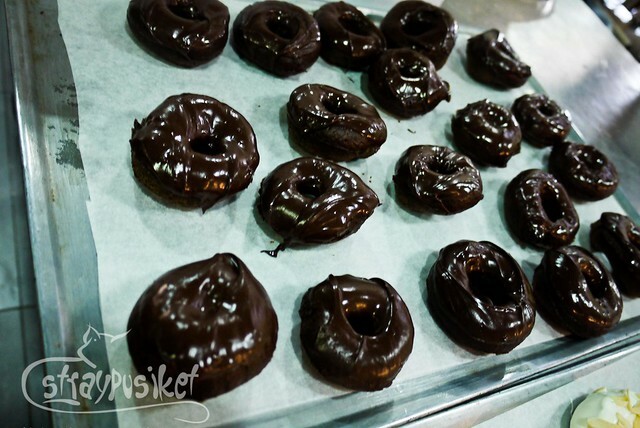 People were willing to line up for minutes or even hours just to get their hands on freshly made doughnuts. I remember the same scenario 10 years ago when Gonuts opened. I would line up almost everyday after school just to get my Amazing Glaze fix. But have you ever wondered how a donut becomes a donut ? Well, I already found out. Coming late to class is starting to become a habit and I'm hating it. 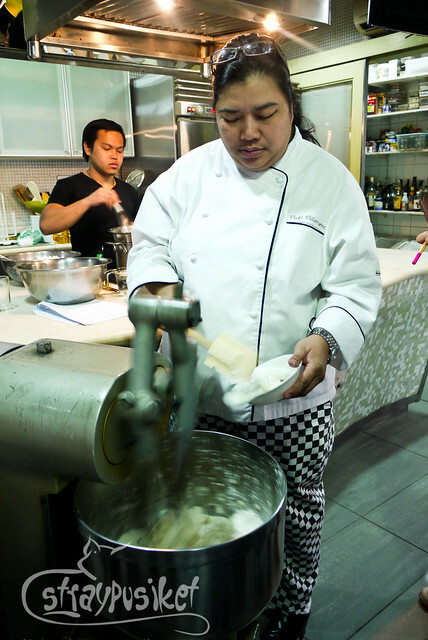 I was still lucky to arrive earlier than Chef Vicky, our teacher for the Deep Fried Pastries class. Her personality was so strong that I felt intimidate at first. But it only took me a few minutes to finally enjoy listening to her lecture. 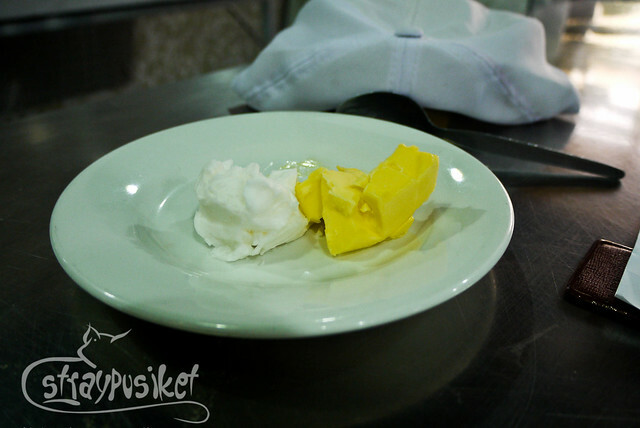 While she was discussing about fat, she asked us to taste the butter and shortening. Ew. Ew. Ew. 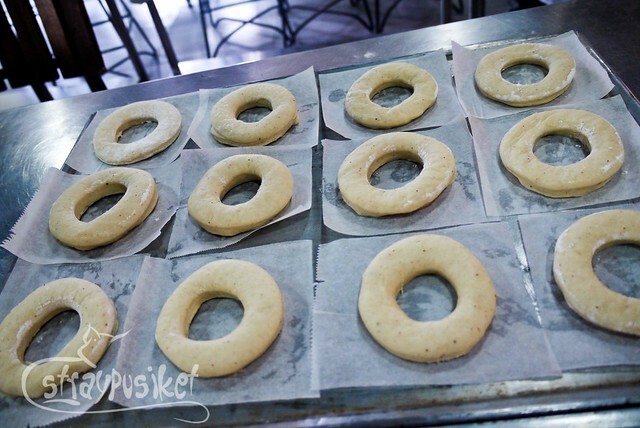 There are other types of fried pastries like churros, crullers, but our lesson was focused more on donuts. 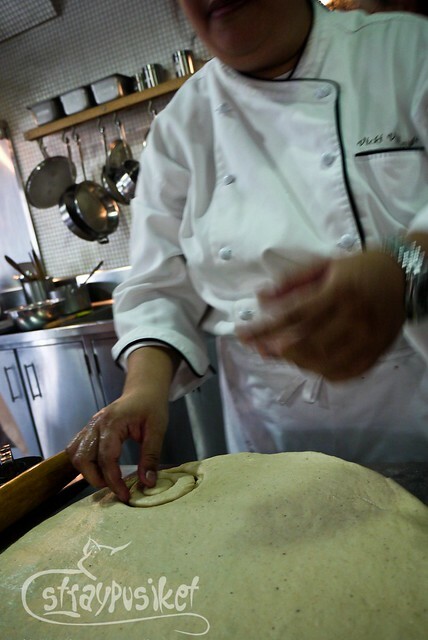 Here's Chef Vicky, doing the demo of the yeast donuts. 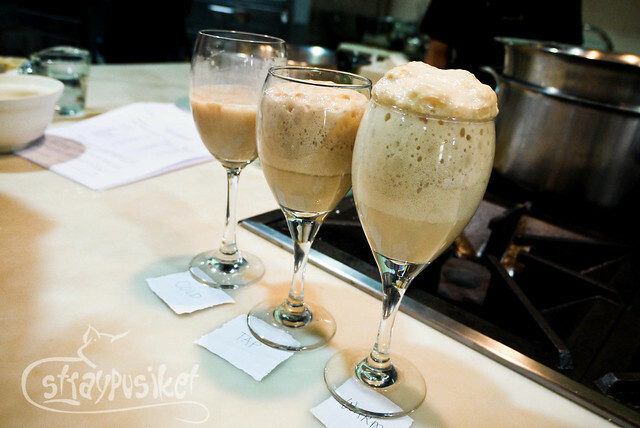 She also showed us what happens to the yeast in water of different temperatures. 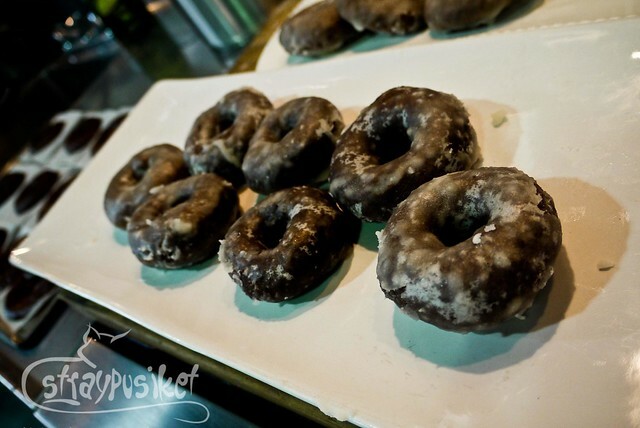 Right after the first part of the demo, each one of us were asked to do our own yeast and cake donuts. 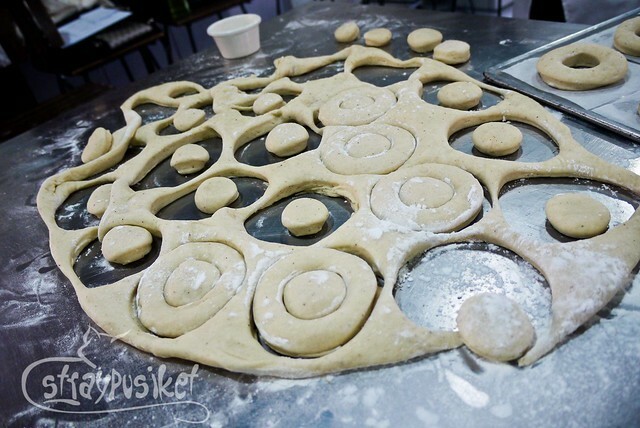 Since we only have one dough mixer, only one can work on their yeast doughnut at a time. The rest of us did our action plan and prepped our ingredients. Half of the class already started doing their cake doughnuts. 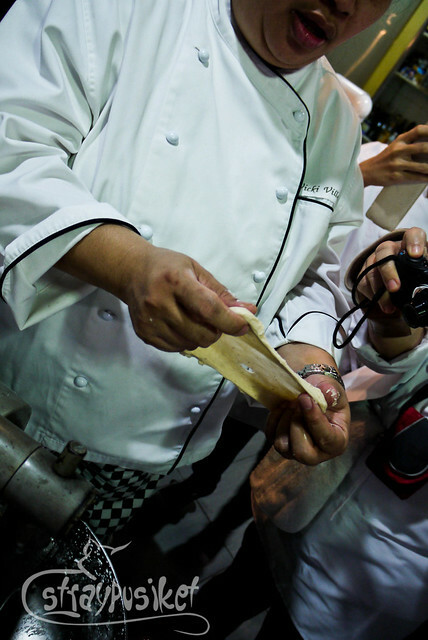 I like Chef Vicky's teaching style. She makes it a point to monitor us individually and she let us do a demo in front of her just to make sure we knew what we were doing. 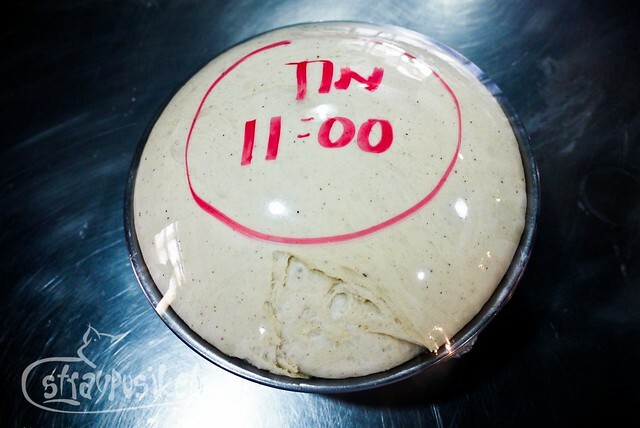 Here's my dough after letting it rise for 30 minutes. 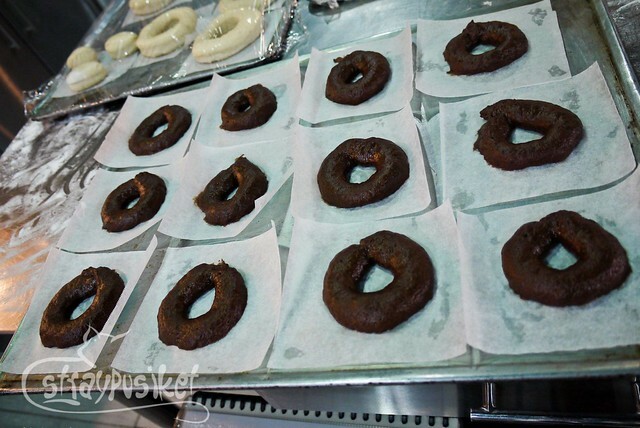 and cut them into regular-sized donuts. 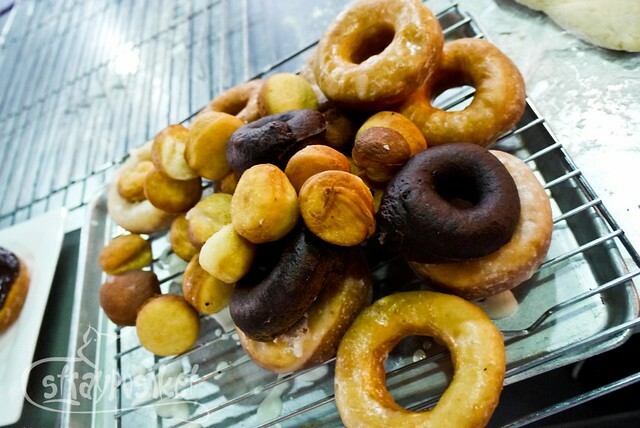 Donuts can actually be baked but today we're frying them. The smoke from the boiling oil was all over the place and my eyes were starting to hurt. 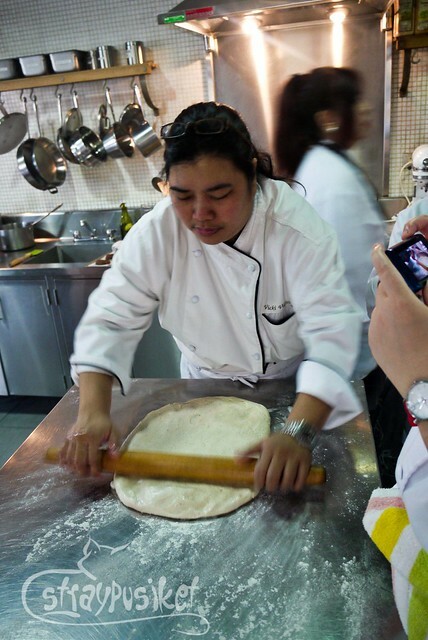 Even Chef Vicky had to excuse herself for a while and left the kitchen because she suffered an asthma attack. 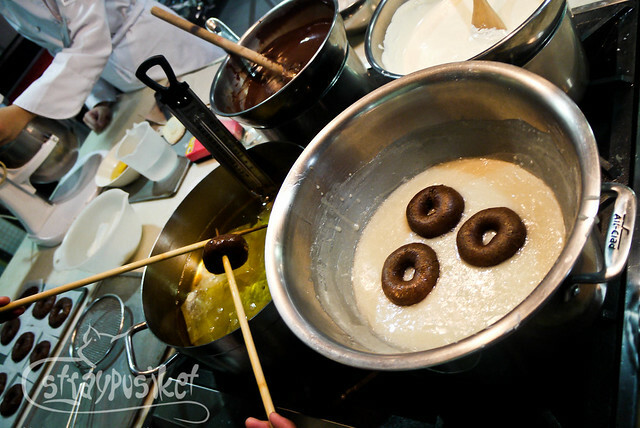 All yeast donuts should be prepared for frying by 1PM so we had to multi-task. I was so busy I actually forgot to eat my lunch. Anyway, here's my mountain of donuts. Frying is the most crucial part of the process. You need to ALWAYS monitor the temperature of your oil and you have to move quickly. I burned my first batch of donuts (about 5 of them) because I just dumped them into the oil when it was my turn without checking if it's in the right temp. It was a super tiring but fun day in class. I had a lot of donuts to take home so I dropped by my friends' house to give them some. The verdict? 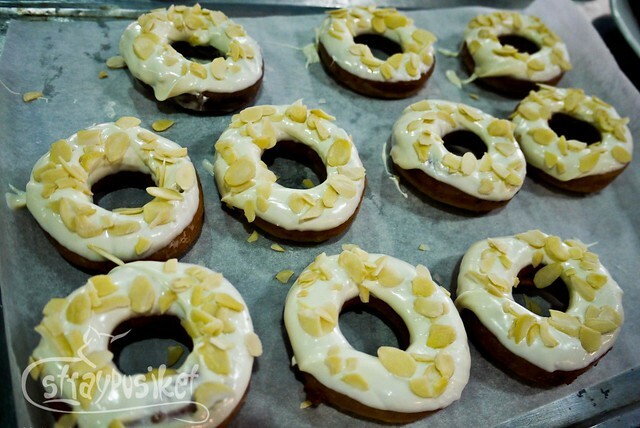 White Chocolate Almond = JCO and the Double Chocolate = Mister Donuts. Hahahahaha!